The number of takeaway delivery services is rising, and it’s changing the way people in the UK and U.S. eat. This rapid growth is down to several reasons such as widespread access to the internet, prevalent smartphone ownership, increased urbanization and a surge in the number of takeaway food options. In a bespoke study, we surveyed over 1,500 UK and 1,000 U.S. takeaway lovers1 aged 16-64, and delved into their usage of takeaway food delivery apps/websites and takeaway food habits. Here are five of our key findings. 1. Ordering food through delivery apps/services is part their lifestyle. Smartphone apps are making it easier than ever before to order food at anytime. Our data shows that around 3 in 5 takeaway lovers order takeaway food via a food delivery app or website, instead of other channels. 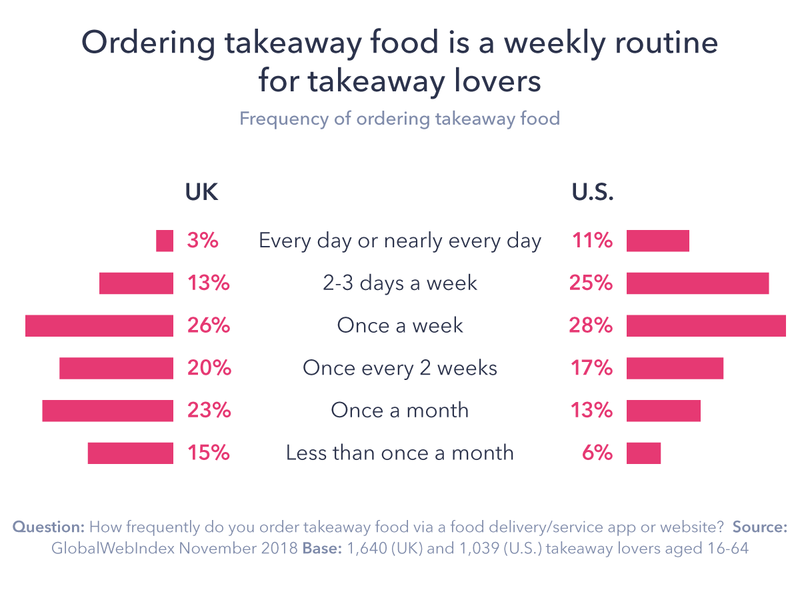 The frequency of ordering takeaways through food delivery providers is also notably high, especially in the U.S.
More than 3 in 5 takeaway lovers in the U.S. order takeaway food once a week or more, while in the UK it’s around 2 in 5. Takeaway lovers aged between 25-44 order takeaway food most often, and are a key target audience for food delivery services. 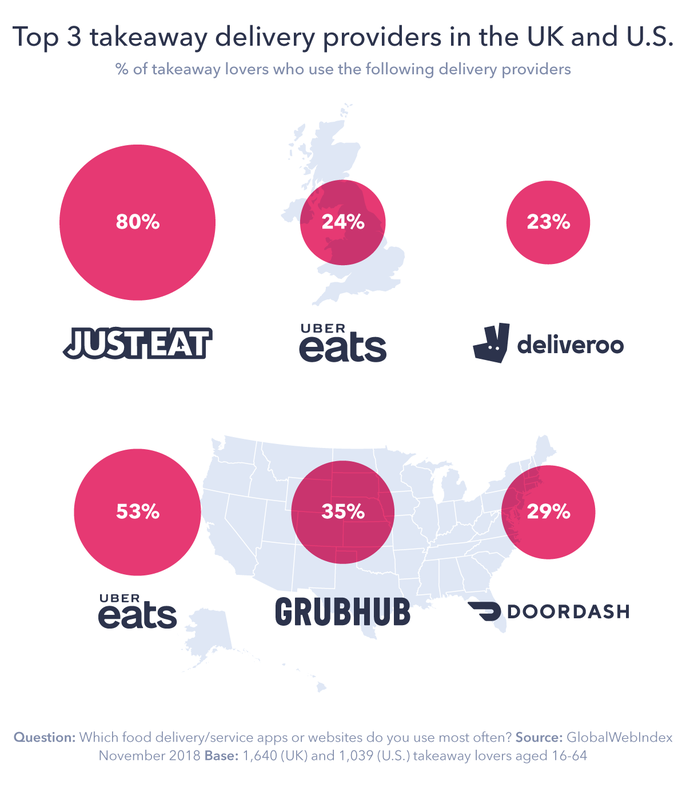 Our data also shows while the majority of takeaway lovers get food delivered to their home, lunchtime takeaway delivery shows greater potential in the U.S (15%) than the UK (3%). Takeaways clearly make up a significant amount of this audience’s eating habits, which presents extensive opportunities for both food delivery providers and restaurants. 2. Ordering and “eating in” is replacing “eating out” for younger audiences. Our data demonstrates the impact the booming takeaway industry has on dining out. Almost 3 in 5 takeaway lovers in the UK and U.S. have reduced the amount of times they eat out at restaurants in the past 12 months because of the increased availability of takeaway/delivery options. Younger audiences are driving this behavior, with over 65% of those aged 16-34 saying they’ve been eating out less in the past 12 months. This could be due to cost and convenience. Takeaways are generally cheaper than eating out at restaurants because people tend to save on alcohol and gratuity costs. There are also many takeaway options available to match different budgets – consumers don’t need to splash out to get restaurant-level food. To top it off, eating in is convenient because people don’t need to get dressed and travel to a specific restaurant. Instead, they get to relax in the comfort of their own home. Overall, the oversaturation of the restaurant market, expensive overheads and economic uncertainty has resulted in several restaurant branch closures in the UK, such as Byron, Jamie’s Kitchen and Prezzo. The boom in delivery apps has a mixed impact on restaurants. While it offers the potential of increased sales, it also restricts high-margin extras, like alcohol, that make up a key part of restaurants’ revenue. It can also add more operational complexities, such as ensuring there’s enough staff to meet demand. 3. Entertainment goes hand-in-hand with ordering via delivery apps or services. When we look at what takeaway lovers usually do when they eat takeaway food, it’s clear that entertainment plays a central role. 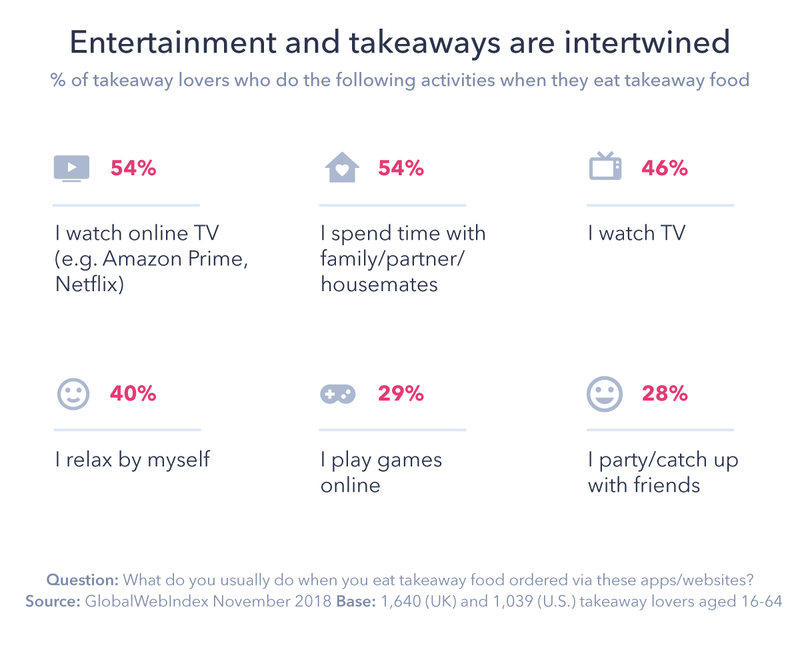 Over half of takeaway lovers stream online TV, like Netflix and Amazon Prime, while eating, whereas 46% watch traditional TV. Eating in is not an isolated activity. We know that for 28% of takeaway lovers, eating a takeaway is part of their night-in routine with their loved ones. It’s a way of connecting and spending quality time with people in their lives. 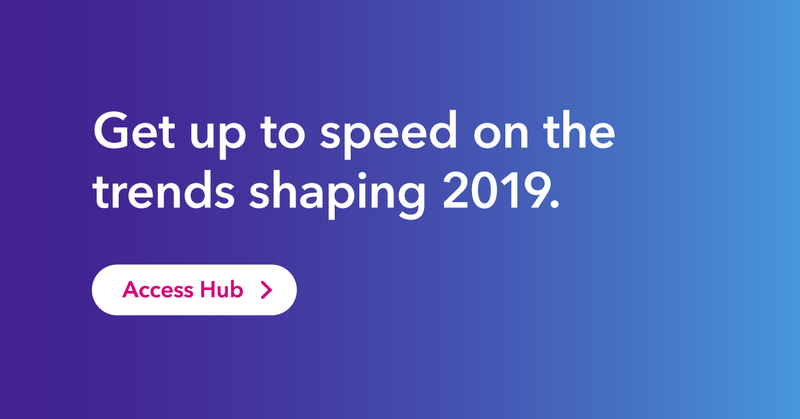 The big role TV plays for this audience presents great opportunities for advertisers and marketers to reach audiences, whether that’s through on-demand or traditional TV. It also opens up possible partnership avenues for entertainment and food delivery providers. 4. Takeaway lovers seek a treat above all else. In today’s busy world, you might expect the biggest reason takeaway lovers order food is because they don’t have the time to cook. However, our data tells a slightly different story. This suggests that money isn’t a big obstacle and they’re willing to dig into their wallets. Other significant reasons are to get restaurant-quality food delivered without having to leave their home (41%) and to satisfy a specific craving that they wouldn’t usually cook at home (39%). This shows the reasons for ordering takeaway food aren’t limited to time constraints. Takeaway delivery fulfils consumers’ needs of having a variety of fresh, restaurant-quality food delivered to their door, which may not have been possible before. 5. Loyalty comes from quality of food and service. Getting the takeaway delivery experience just right isn’t an overnight win, especially with changing consumer demands. However, food delivery providers and restaurants need to focus on getting the basics right. 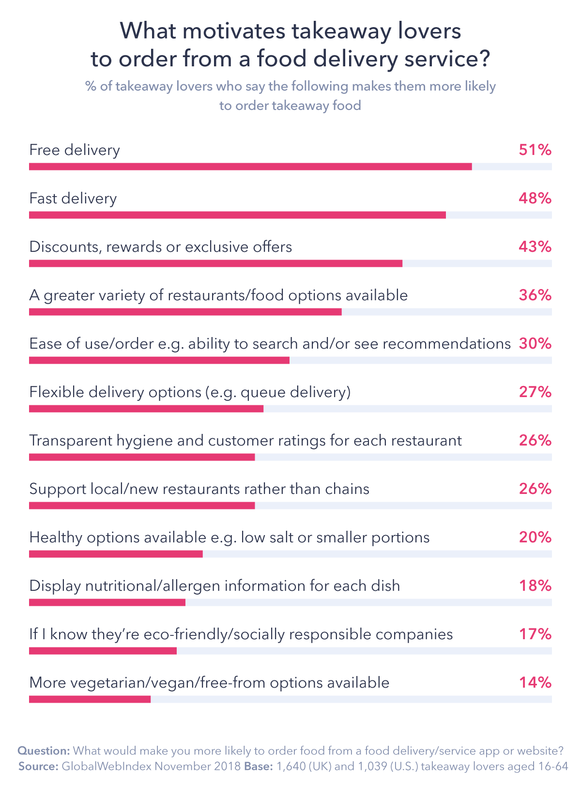 Our data shows that the biggest discourager of using a food/delivery app again is poor quality food (25%). Other key discouragers are orders arriving with missing items or as the wrong order completely (for around 1 in 5 people), and 16% are discouraged if the food arrives cold. 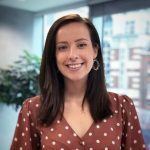 With increasing choice of delivery providers and food options, these are fundamental requirements that need to be right in order to compete in this space and drive customer loyalty. Aside from free and fast delivery, which are the most important motivators for consumers, there are many others at play that food delivery providers and restaurants can learn from. One motivator for takeaway lovers is a transparent hygiene and customer ratings system. While some delivery providers have customer ratings available, hygiene ratings are often not disclosed and transparency could be greatly improved. From our data, we know that while over 25% of takeaway lovers trust the ratings of a delivery service, a significant amount remain undecided and just 3% say they don’t trust the ratings. Food delivery services and restaurants could use transparency of hygiene and customer ratings as an opportunity to gain consumers’ trust. If restaurants and delivery providers work together to get the basic food quality, safety and service requirements nailed down, they can focus on other areas to delight consumers. These include: offering healthy options (20%), including local/newer restaurants (26%) and a greater variety of restaurants/food options (36%) – all important motivators for consumers that could really increase loyalty and drive repeat custom. Partnering with third-party delivery services or restaurants doesn’t come without its considerations. Both restaurants and third-party delivery services need to ensure they listen to consumers’ needs and changing tastes and evolve with them, or risk falling behind. Often when things go wrong, consumers aren’t shy to share how they feel, whether that’s through social media or word-of-mouth. Both of these can damage a brand’s reputation, regardless of whose fault it was in the first place. 1Takeaway lovers are defined as internet users aged 16-64 who say they order takeaway food from a food delivery service app or website. How Can Brands Engage Consumers through Messaging Apps?